SMS Marketing makes for a great a way to connect directly with your customers for a host of reasons. Firstly, it allows you to instantaneously connect with your customers (existing or potential ones) through a device that they carry around with them all the time. Secondly, unlike email, text messages are almost always accessed and read by the recipient and you dont have to deal with barriers like junk folders and spam filters. Thirdly, the limited character length of an SMS will force you to keep your message concise, eliminating irrelevancy and superfluous information while placing a much greater emphasis on well constructed communication. Fourthly, there are over 5 billion cell phones being actively used worldwide, giving you a reach that surpasses every other marketing medium. Convinced yet? No? Heres the kicker: It costs next to nothing. If youre going to incorporate SMS marketing into your campaign strategies, here are a few tips to keep you well ahead of the competition. Structuring Your Content There are several tips to keep in mind when designing SMS content. The most important thing to remember is that you have severely limited space, so get straight to the point. 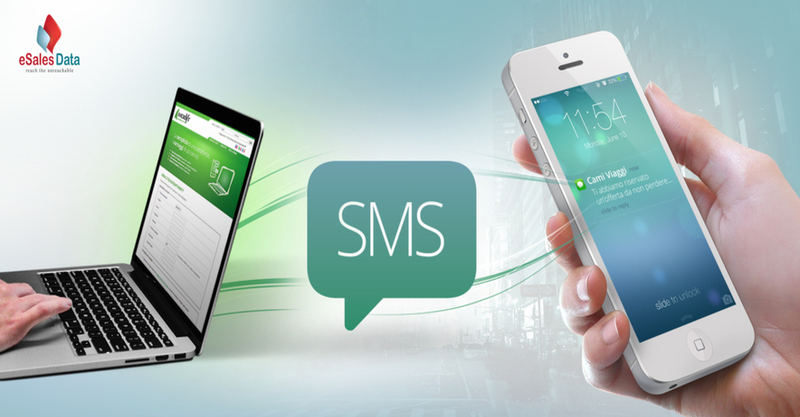 Here are a few important things to remember while constructing an SMS marketing message. Since you dont have a lot of space to fit in an engaging lead, everything important, i.e., the crux of your message must be placed at the beginning of the text. Abbreviations are a great device that allow you to fit a long message into a short space, but using too many can make your message look pushy and hard to read. Use abbreviations that are easily recognized and then, only where absolutely necessary. Remember not to be informal. Despite SMS being a relatively casual medium of communication, you need to remember that youre marketing to huge demographic, so keep your messages as professional as possible. That includes a zero-tolerance approach to grammatical and typographical errors. Unlike many other marketing channels, SMS doesnt allow you the luxury of images or any visual cues beyond plain text. This means your communications have to be painstakingly obvious and any attempt at innuendo or tonal variation could be misread or badly received. Clearly mention your companys name and contact details and make sure you have a professional air. You dont want to be mistaken for span and promptly deleted. Short Codes Its highly recommended that you avail of an exclusive short code and at least two keywords so that you can segment your marketing. If you intend to embark on a highly segmented campaign, get one key word for each segment. However exclusive codes can be expensive and take time to set up. If you have an urgent marketing need or a limited budget, you can use shared short codes instead. Invest In Mailing Lists Mailing lists are a great way to capitalize on SMS marketing. Find a data partner who can help you follow a policy of targeted marketing by offering you segmented lists. A good mailing list company will not only be able to give you scores of customer contact details but will also allow you to tailor you messages toward specific demographics. This can massively increase the effectiveness of your campaign and is likely to generate a lot more business. Offer Exclusivity Ask customers to subscribe to your VIP Offer Club and send them weekly offers via SMS. People like to be part of something exclusive that actually has an effect on their lives, so make sure your offers are attractive enough to make in impact. An exclusive 5% discount doesnt really do much. Timing Matters Send out offers just before the weekend and come Saturday, youll find customers rushing to your store. On the other hand, you also could send out time-sensitive deals in the middle of the week to maximize profits on an otherwise slow business day. You can also send out appointment reminders to business associates and anyone else you work with. Reminders can save you a great deal of angst and boost productivity by ensuring a more punctual schedule for everyone involved. Let Them Opt-out Make sure that you offer an easy way to opt-out of receiving any further SMS communications. At the end of the day, mobiles are highly personal devices and any attempt to force your marketing material on to an unwilling recipient is going to accomplish more harm that good. Add That Personal Touch Apart from disseminating information or offers you can use SMS marketing as a tool to cultivate customer relationships. Messaging your long-standing clients on special occasions is a great way to build trust and brand awareness. Everyone appreciates a personalized greeting. Birthdays, anniversaries and events that have personal significance are particularly effective in this respect. In conclusion, keep your messages short, your offers attractive and your timing exquisite and you should have absolutely no problem building up a successful SMS marketing campaign.